NHL News : Breaking: Young center Smith claimed off waivers! Breaking: Young center Smith claimed off waivers! The Boston Bruins lost 5-0 at the hands of the Florida Panthers on Tuesday night, and have decided that a few tweaks could benefit the team on Thursday. The roster in BeanTown has been ravaged by injuries since the start of the season, and the team finally decided to get some help up front by claiming a young centre off waivers. 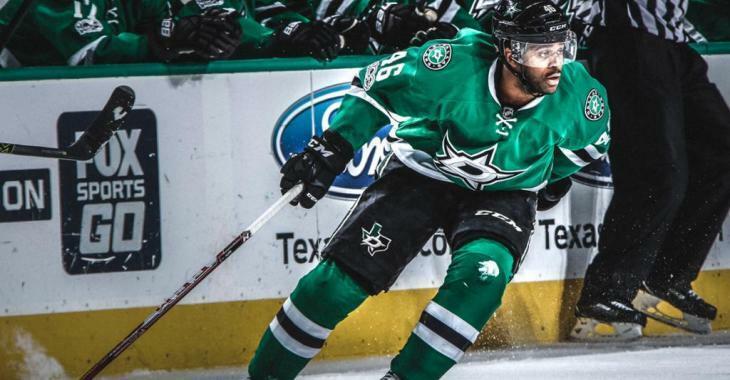 On Wednesday, the Dallas Stars placed forward Gemel Smith on the waiver wire and the Bruins claim him at noon today. Dallas can count on the return of veteran forward Martin Hanzal as the 31-year-old centre could play as early as Friday against San Jose, coach Jim Montgomery said. Hanzal, who was recovering from this third back surgery, has not played since March, but finally received clearance from the doctors. "We got really good news there," Montgomery said. "He's cleared. We think he's going to be a player, but I'm not going to say 100 percent because you never know what happens in Thursday's practice. He had a big smile on his face today, and I guess he knocked a few people over in the game." As Hanzal will be a welcomed addition, it meant that the Stars needed to let go of another centre and now the Bruins can benefit from it as well. The 24-year-old forward had been a healthy scratch in six of the last seven games. When he was part of the lineup in Dallas, he played only 3:25 and none of the final 26:04. He is averaging a team-low 8:01 of ice time per game, and is a pending restricted free agent with a $720,000 cap hit. He became an attractive option to the Bruins because of his age and his speed on the ice. Last season, Smith had six goals and five assists in 46 games last season. His six goals came on 42 shots. So far this year, the forward has put up two goals and a total of three points in 14 contests. The Bruins haven’t been blessed with health so far this season as major injuries have sidelined several key players including Patrice Bergeron, Zdeno Chara, and Charlie McAvoy. Smith is expected to bring some depth if ever head coach Bruce Cassidy needs to move pieces around in the near future.